Musicians For Harmony commemorates its 10th year of “Concerts for Peace”–and the 10th anniversary of 9/11–with its most significant event to date, featuring some of the world's finest international artists joining together to promote cross-cultural exchange and dialogue through music. This concert will feature the return of their old friends–the Juilliard String Quartet performing Janacek's Quartet No. 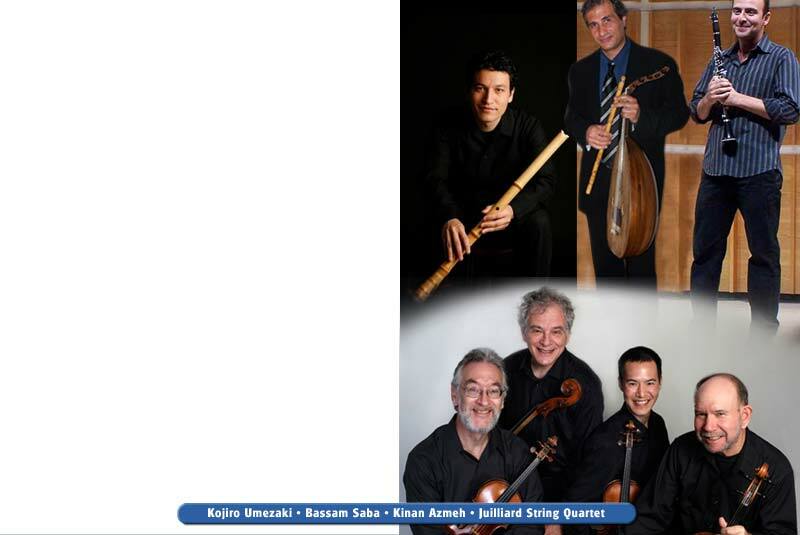 1,“Kreutzer Sonata” with new 1st violinist Joseph Lin; Syrian clarinetist Kinan Azmeh and friends; and Lebanese oud/violin player Bassam Saba–as well as first-time Musicians For Harmony artists Japanese shakuhachi performer Kojiro Umezaki and the 35-piece New York Arabic Orchestra.